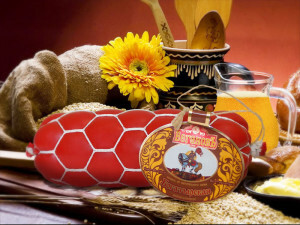 Vegetarian sausage “Bogatyrskaya”. 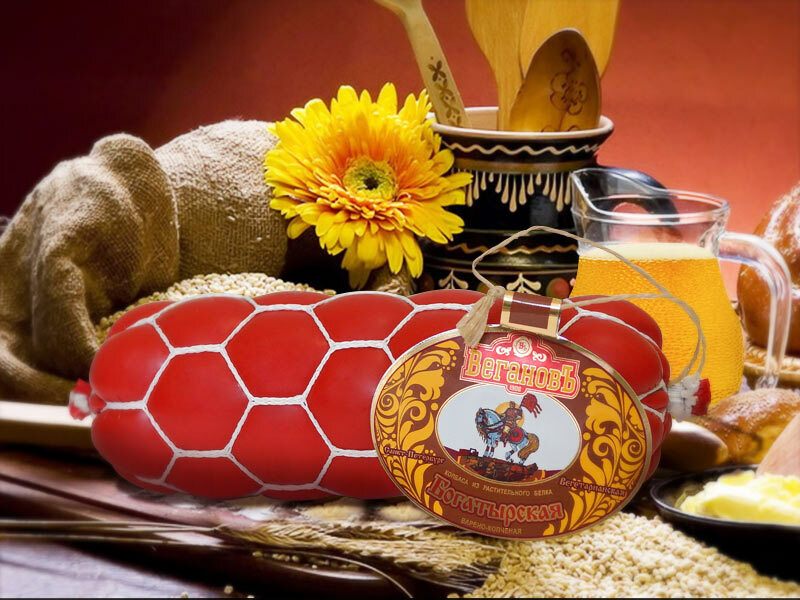 Premium boiled-smoked | Компания «Вегановъ» – вегетарианские продукты питания. Ingredients: wheat protein from Russian wheat without GMO foods, soy protein (premium) without GMO foods, extra-first cold pressed olive oil (Greece), first cold pressed Virgino colza oil (Finnland), sunflower oil, spicy and aromatic blend “Aroma” (extracts and spices: allspice, basil, black pepper, turmeric, maltodextrin, paprica, fructose), sea salt, seaweed polysaccharides, inulin from chicory, natural dye “beetroot”, carrot fiber, ascorbic acid, rosemary extract. Attitude to soy products in our country is ambiguous. On one side- it’s is very useful and nutritious product (containing all the necessary essential amino acids and unique active components: lecithin, isoflavones, saponins, vitamins, macro and micronutrients, …), on the other hand, people have a fear, that the product contains GMO. Buying the vegetarian sausage “Bogatyrskay”, you can be certain, that the part of the soy protein doesn’t contain GMO foods. We work only with trusted and reliable suppliers, giving us the 100%th guarantee of the quality of the delivered products. The company “Soy Protein” adheres to numerous international norms and standards of quality. There’re such certificates as: ISO 9001, ISO 22000, ISO 14001, OHSAS 18001, GMP +, KOSHER and HALAL, the Certificate about traceability and preserving the genetic purity – IP-Non-GMO – occupies a special place. There has been established the origin control Program (Identity Preservation Program), that was certified by the Swiss company «SGS», which is the world’s leader in inspection, verification and certification. This program defines the procedure of preserving the genetic purity from the seed production to delivery of the final product.